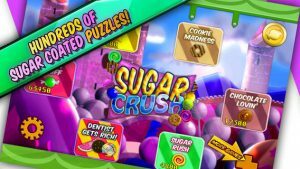 Sugar Crush is an iPhone game developed byEyal Katz, with art by Tenda Spencer. 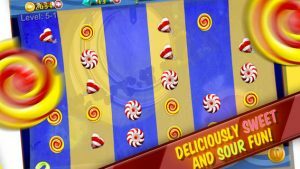 This candy-themed puzzle game is tons of fun! 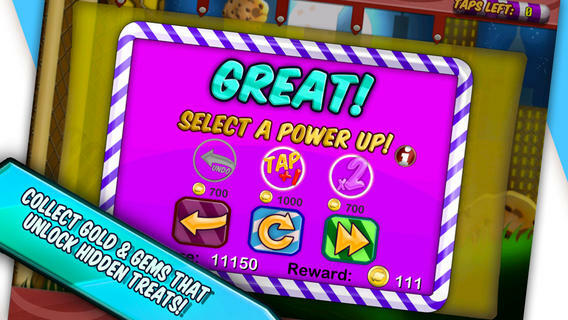 Sugar Crush is a tap-based game where you must crush different colored candies to clear the board. As the candies are destroyed, they release candy splinters that can break down other candies on the screen. You only have a limited number of taps to use in each level, however. Therefore, you’ll need to carefully plan each chain reaction before making your move. The Sugar Crush game has Full Retina & iPhone 5 support. In addition, there are tons of different power ups to keep the game feeling fresh. The most recent update, Version 1.1, added over 300 new levels. For a free game, you get a crazy amount of content! The controls are very intuitive, and everything feels well calibrated. As for the graphics, while they are quite simple, they work well with the fairly fast-paced gameplay of each level. One thing that gets a bit tiresome on the tricky levels is when you fail the level and have to sift through some pop ups before you can restart. In some cases, you will have to bypass both an ad window and a pop-up window for accessing hints. 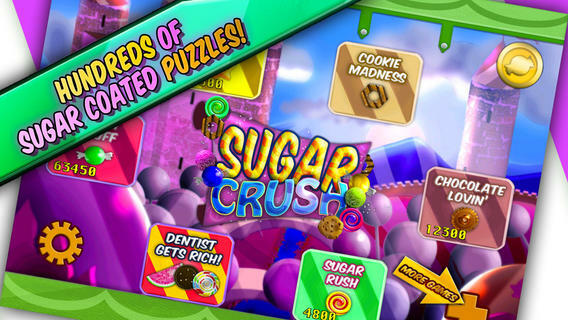 Sugar Crush is ideal for puzzle gamers who love strategizing before every move. While the pop-up ads between level attempts can get annoying on levels that require multiple attempts to beat, the overall gameplay experience is really engaging. With free hints to help you get unstuck, this puzzler is fun for casual gamers and fans of extreme brainteasers alike. Don’t miss this free game! 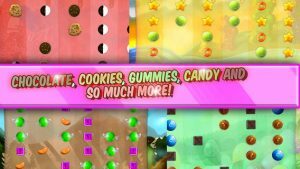 Sugar Crushrequires iOS 4.3 or later. Compatible with iPhone, iPad, and iPod touch. This app is optimized for iPhone 5.